REDUCED TO SELL! 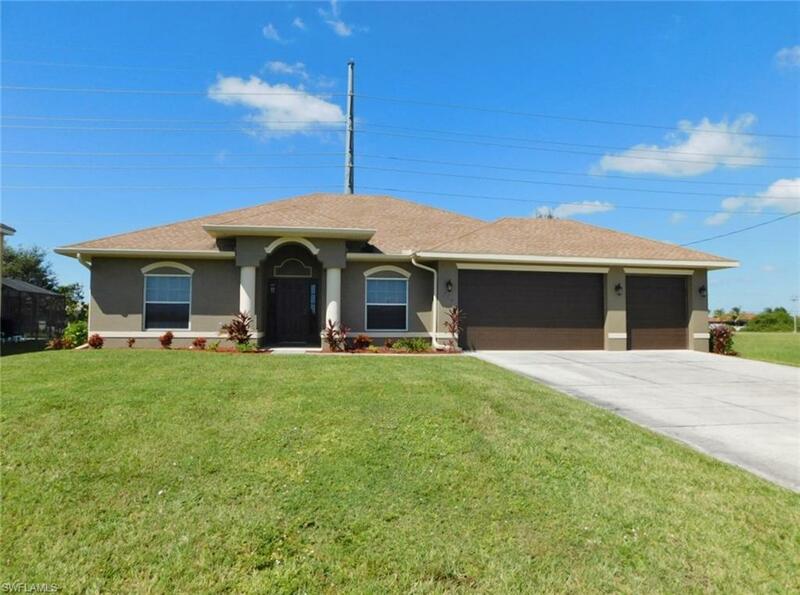 You Will Love This Professionally Remodeled 3 Bedroom/2 Bath/3 Car Garage (Plus Private Home Office Or Den With Glass French Doors) Pool Home In Lovely Cape Coral, Florida. The Kitchen Comes With Brand New Stainless Steel Appliances, Granite Countertops, New Tile Backsplash, Real Wood Cabinets, And A Built-In Pantry. The Large Living Room Has A Triple Slider That Opens Up To The Covered Lanai And Pool Area. The Dining Area Comes With A Great View. The Master Bedroom Has A Large Walk-In Closet. Other Upgrades Include; New Carpeting In All Three Bedrooms And The Living Room, Newly Resurfaced Pool And New Pool Equipment, New Window Coverings/Blinds, New Interior/Exterior Two Tone Paint, New Water Equipment, Newly Screened And Resurfaced Oversized Lanai And Pool Area, Newly Installed Landscaping, Automatic Sprinklers, New Lights/Ceiling Fans, And A Newly Resurfaced 3 Car Garage. This Home Is Totally Move-In Ready Today! This Home Is Very Close To Major Shopping Malls, Restaurants, Schools, Parks, Golf Courses, I-75, Regional Airport, Boat Ramps, And Those White Sand Beaches Of The Gulf Of Mexico! Fast Response! Call Today For Your Private Showing!